Our guide to Columbus will help you find the best green spots in Columbus Ohio. Even when the rest of Ohio began to suffer industrial decline in the second half of the 20th century, Columbus grew, primarily because its economy is based on state government, education, finance and insurance, and light industry. Continued prosperity has made Columbus an attractive place to live and visit. The city is home to Ohio State University, which is the state's largest academic institution, with more than 50,000 students. Another well-known local institution is the Columbus Zoo, one of the nation's most acclaimed. There are tons of great green spots in the city of Columbus, our city guide will help you find the best green spots. You may have a hard time deciding what to do in Columbus, but we make your decision easy. 1140 Polaris Pkwy, (614) 781-1320 - Chipotle Mexican Grill is a green restaurant located in Columbus OH. 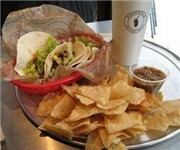 1298 W 5th Ave, (614) 481-0105 - Chipotle Mexican Grill is a green restaurant located in Columbus OH. 1528 Georgesville Rd, (614) 853-4245 - Chipotle Mexican Grill is a green restaurant located in Columbus OH. 154 Hutchinson Ave, (614) 433-0221 - Chipotle Mexican Grill is a green restaurant located in Columbus OH. 1726 N High St, (614) 291-0274 - Chipotle Mexican Grill is a green restaurant located in Columbus OH. 1779 Kingsdale Ctr, (614) 326-2631 - Chipotle Mexican Grill is a green restaurant located in Columbus OH. 1960 E Dublin Granville Rd, (614) 891-4257 - Chipotle Mexican Grill is a green restaurant located in Columbus OH. 247 King Ave, (614) 298-9986 - Dragonfly Neo-V Cuisine is a green restaurant located in Columbus OH. 2484 E Main St, (614) 236-8733 - Chipotle Mexican Grill is a green restaurant located in Columbus OH. 3009 N High St, (614) 784-2253 - Pattycake Vegan Bakery is a green restaurant located in Columbus OH. 401 N, (614) 228-5488 - Chipotle Mexican Grill is a green restaurant located in Columbus OH. 4034 Townsfair Way, (614) 337-8044 - Chipotle Mexican Grill is a green restaurant located in Columbus OH. 4241 N High St, (614) 784-2233 - Northstar Cafe Beechwold is a green restaurant located in Columbus OH. 4489 N High St, (614) 263-5547 - Chipotle Mexican Grill is a green restaurant located in Columbus OH. 4750 Morse Rd, (614) 472-3720 - Chipotle Mexican Grill is a green restaurant located in Columbus OH. 6815 E Broad St, (614) 501-7250 - Chipotle Mexican Grill is a green restaurant located in Columbus OH. 951 N High St, (614) 298-9999 - Northstar Cafe Short North is a green restaurant located in Columbus OH. 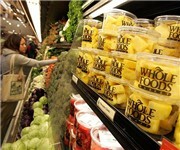 508 N Cassady Ave, (614) 252-3951 - Bexley Natural Market is a green food / grocery store located in Columbus OH. 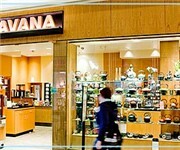 186 Easton Town Ctr, (614) 337-0298 - Teavana is a green coffeeshop / cafe located in Columbus OH. 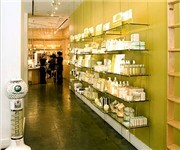 59 Spruce St, (614) 224-6196 - Better Earth is a green store located in Columbus OH. There are plenty more green spots in Columbus. See all green spots in Columbus Ohio.